Elkos Pens becomes the first Writing instruments company in India to become ISO 9001:2015 certified, International Organization for Standardization. KOLKATA, India - Oct. 30, 2017 - PRLog -- Elkos Pens becomes the first Writing instruments company in India to become ISO 9001:2015 certified, International Organization for Standardization. In keeping with its total commitment to quality management Elkos Pens comply with internationally recognized quality standards. International Organization for Standardization (ISO) 9001:2015 is the most updated standardof its kindand focuses on quality management systems and performance.ISO International Standards help businesses to build customer confidence, increase productivity and access new markets. It specifies the requirements for the companies to enhance customer satisfaction through the effective application of the system and developing a management system that aligns quality with their wider business strategy. Certification requires time and commitment. Elkos Pens began their internal preparation for certification in January 2017, by evaluating their existing procedures and aligning them with the new requirements. Since their documentation and procedures were already well established and compliant with ISO 9001:2008, they only needed to make minor changes to their quality manual and overall processes and procedures to meet the new standards. "We are excited to earn certification to ISO 9001:2015 and feel it provides additional assurance to our customers that we are focused on continuous improvement and customer satisfaction," said Mr. Vijay Singh, Assistant Manager sales executive at Elkos Pens. "Our move from ISO 9001:2008 to the updated standard demonstrates our desire to always perform at the highest levels of quality and efficiency and to deliver innovative, high quality and customer-focused writing solutions to our customers." Elkos Pens has a long standing reputation for building the most reliable writing instruments and this is clearly evident in the entire line of Elkos products: ball pens, gel pens, glitter gel pen, and sketch pens. 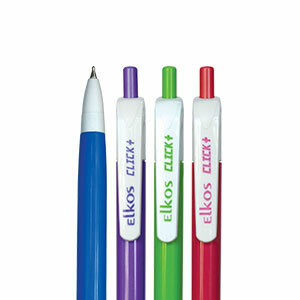 ELKOS Pens has been awarded the prestigious Government of India registered One Star EXPORT HOUSE & has a distinguished honors of being stationery partners in reputed Indian educational institutes like IIT's & IIM's.For more information about Elkos Pens, please visit www.elkospens.com .